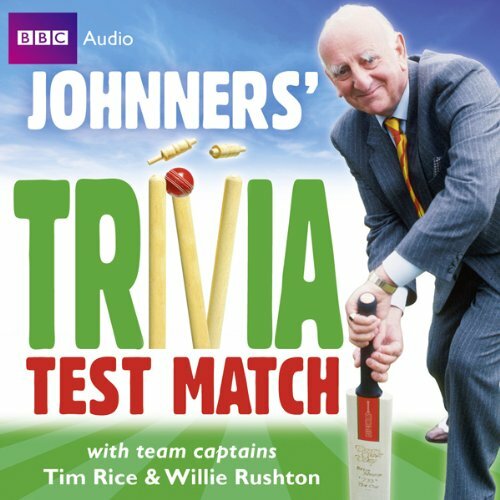 Brian Johnston - aka ‘Johnners’ - the BBC’s long-time cricket commentator, is the umpire in this test of wit and general knowledge, as two teams try to score the highest number of runs under his watchful eye. In these four episodes, team captains Tim Rice and Willie Rushton are joined by Stephen Fry, Paul Merton, Tim Brooke-Taylor, Barry Cryer, Bill Tidy, Caroline Quentin, Bernard Cribbins, and Robin Bailey. But which questions will they go for? The easier ‘single’ worth just one run?